For many of you, this is your first-time visit to Detroit. For others, it’s a reunion a long time coming. 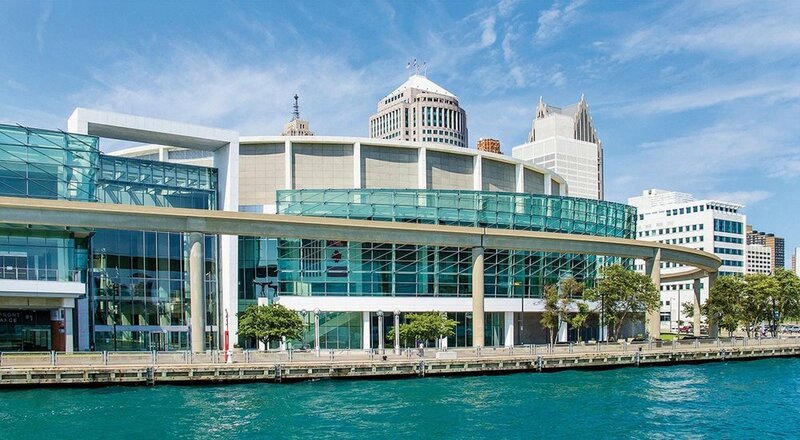 While you’re here, we hope you get the chance to fully experience Detroit aside from your experience at the newly-renovated Cobo Center, with its waterfront and international views. Cobo has also launched several sustainability initiatives, such as recycling, using 40% less electricity in their exhibit halls, and donating unused food to local food pantries. But during your free time, The D’s retail, restaurants, hotels, historic cultural attractions and public transportation options will already have you planning your next trip to Detroit. If you’ve been reading or watching the news lately, then you know that Detroit has experienced a huge comeback. Ground has been broken at the former Hudson’s department store site to build the tallest building in Detroit. The new Little Caesars Area is now home to the Detroit Red Wings and Detroit Pistons, placing all four of Detroit’s major league sports teams within a few blocks of each other. The arena is part of the larger District Detroit, which will feature housing, retail, restaurants and a hotel in a 50-block, walkable area when it is completed. And Detroit’s international riverfront features a RiverWalk that takes you from the old Joe Louis Arena to near Belle Isle. 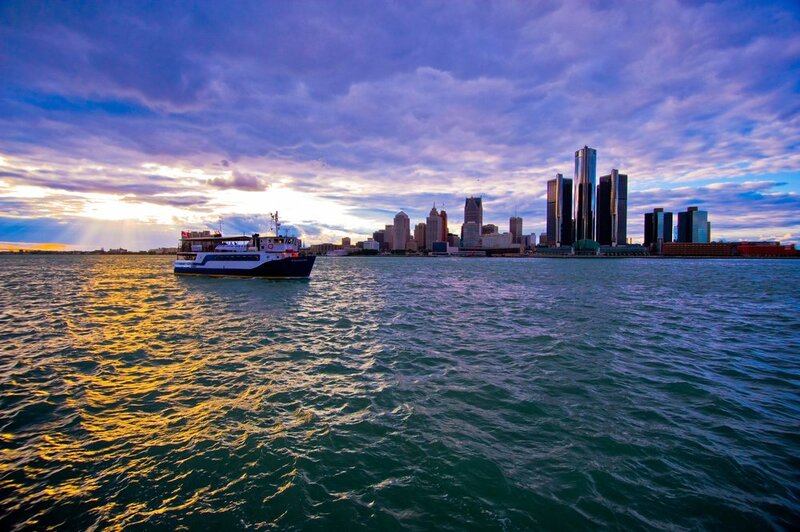 With gorgeous views of Canada, live entertainment, family friendly parks, and nearby bars and restaurants, the Detroit riverfront is the perfect way to spend your free time in Detroit. There has been a resurgence of retail in Detroit’s downtown core and each unique neighborhood. If you are downtown, walk along Woodward Avenue to see iconic Detroit brands such as Détroit Is The New Black alongside big brands like John Varvatos and Nike. And take the Cass Corridor through Midtown if you want to see Shinola’s flagship store alongside quirky Detroit boutiques. For a comprehensive guide to all of metro Detroit’s retail, check out Visit Detroit’s Detroit shopping guide. The D is a foodie mecca, where fabulous meals go from farm to table in just a few miles. Whet your appetite at Detroit vegan restaurants, Detroit breweries, authentic Detroit Polish restaurants, independent Detroit coffee shops, and classic Detroit restaurants that every visitor needs to try. Whatever you might be craving, it’s time to get a taste of Detroit. Not sure where to start? Visit Detroit has a Detroit Restaurants guide that covers all the bases. You’ve heard about the Detroit riverfront, but check out Campus Martius Park, Capitol Park and Beacon Park for more outdoor time in The D. All three parks feature shopping, restaurants, and tables or beaches to sit at and enjoy the Michigan sunshine. Or take advantage of the proximity of Belle Isle, Detroit’s island park in the middle of the Detroit River. You’ll get gorgeous views of the Detroit skyline, an aquarium, a conservatory and a nature center. Take a walk around some of Detroit’s neighborhoods to get a taste of all the unique flavors Detroit has to offer. Midtown Detroit is one of Detroit’s hottest neighborhoods, with museums, boutiques, breweries, and Wayne State’s campus. Corktown Detroit is for foodies. Stop here for views of Michigan Central Station and a taste of one of Detroit’s most famous restaurants, Slows Bar BQ or Green Dot Stables. Indian Village is the place to go for architecture buffs. Check out stunning old auto baron homes and stop by the famous Sister Pie for a slice before you head back downtown. And if you’re looking for nightlife in Detroit, look no further than Greektown Detroit. Anchored by Greektown Casino-Hotel, this is the place to be for clubs, bars, authentic Greek food and a world-class casino. If you’re looking to stay downtown, head to Midtown’s museum district to check out the world-class Detroit Institute of Arts for Van Gogh, Degas, and the famous Diego Rivera mural. Also nearby is the Charles H. Wright Museum of African American History, the Michigan Science Center and the Detroit Historical Museum. If you have time to head to Dearborn, then The Henry Ford Museum of American Innovation is a must see for all visitors. You can check out Rosa Parks’ bus, the car that JFK was assassinated in, and all of America’s great innovations. And lucky for the summer visitors, The Henry Ford’s Greenfield Village is open and you can’t miss it. Ride in a Model T, and visit the real homes of famous Americans that were all brought to Dearborn to create a one-of-a-kind live history lesson. Need more? 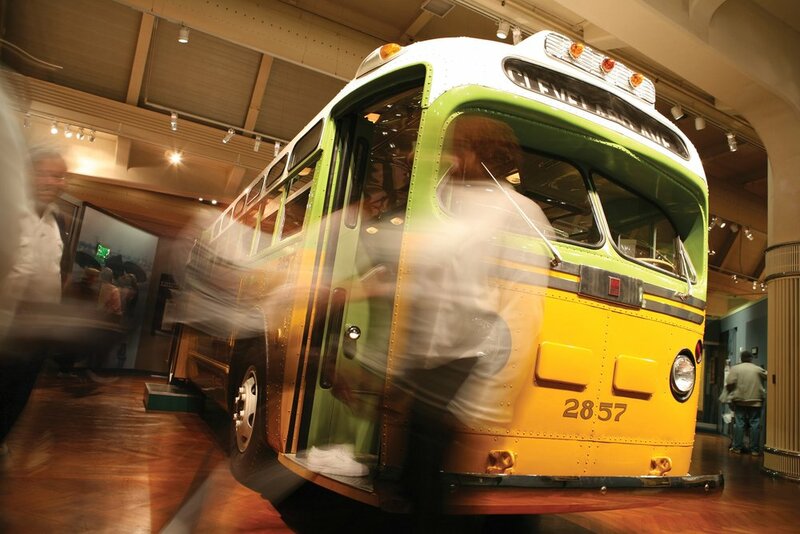 Visit Detroit has a full guide to Detroit museums. Detroit is known for its efficient road system and how well it caters to travel via automobile. Downtown proper expanded its public transportation infrastructure, adding a 3.3-mile circulating streetcar called the QLine, connecting Detroit’s downtown, Midtown and New Center neighborhoods. You can also take the Detroit People Mover to get around the Detroit core, with several stops near Detroit hotels and one inside of Cobo Center. You can learn all about getting around Detroit.